A Turkish jihadist magazine eulogized a German who served as both a senior member of al Qaeda’s external operations branch and as a leader in the Islamic Movement of Uzbekistan before his death in an assault on a US air base in Afghanistan in 2010. Islamic World, a Turkish jihadist magazine, published an article about Bekkay Harrach, a German national who operated along the Afghan-Pakistani border, more than four months ago. The magazine is available “for purchase” and was published on a jihadist forums on Sept. 2, according to the SITE Intelligence Group, which obtained and translated the article. Harrach, who was known as Al Hafidh Abu Talha al Almani, was killed while leading the assault on Bagram Airfield in Parwan province, Afghanistan, on May 19, 2010. The attack was a joint operation between al Qaeda, the Islamic Movement of Uzbekistan, and the Taliban. Twenty fighters were involved in the assault, which was repelled by US troops manning the security perimeter. The attack shocked NATO commanders in Afghanistan, as Parwan province and the area around Bagram Airfield were considered devoid of Taliban influence. In January 2011, the Islamic Movement of Uzbekistan released a statement announcing Harrach’s death, and confirmed that al Qaeda, the IMU, and the Taliban participated in the assault [see LWJ report, Senior German al Qaeda leader killed in Afghanistan]. 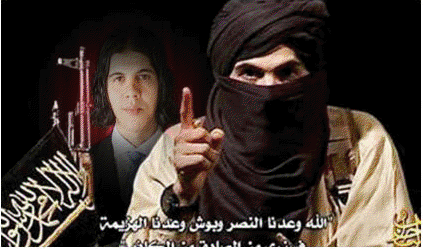 Harrach’s eulogy in Islamic World was written by a jihadist who identified himself as Audrick Krüger. Krüger did not say when Harrach was “arrested,” nor did he explain the circumstances of his release by Syrian authorities. Krüger only said that “the brothers helped him and he returned to Germany where he married a widowed mujahida,” or the wife of a slain jihadist. Harrach “could not get his mind off the jihadi battlefields,” according to Krüger, but found it difficult to travel to the fronts as he was monitored by German intelligence. But Harrach somehow left Germany and traveled to Pakistan, where he “was a guest in Sheikh Mahmud Atiyetullah’s house with his family.” Sheikh Mahmud Atiyetullah is another name for Atiyah Abd al Rahman, the former chief of staff for al Qaeda who was killed in a US drone strike in Pakistan in August 2011. Harrach “constantly spoke about his desire to become a martyr,” and was finally granted approval by Atiyah to lead an assault. Harrach was born in Morocco in 1977 and his family moved to Germany in 1981. He became a German citizen in 1997. He was reportedly wounded while fighting Israeli soldiers in the West Bank, traveled to Iraq in 2004, and then returned to Germany. Harrach worked part time at the Muhadshirin Mosque in Bonn, where he was recruited by al Qaeda scout Aleem Nasir, and received a letter of recommendation that opened doors to the terror network’s training camps. He then traveled to Pakistan. According to the German Federal Public Prosecutor, Harrach had been a member of al Qaeda since March of 2007. He is known to have received military training in an al Qaeda camp in Pakistan’s tribal areas. Abu Ubaidah al Masri, al Qaeda’s external operations chief until his death in early 2008, assigned Harrach to his branch, which is tasked with striking at the West. Harrach quickly rose through the ranks and became a member of the external operations council, a senior US military intelligence official told The Long War Journal in October 2009. Harrach was also a senior propagandist for al Qaeda. In September 2009, Harrach released several propaganda videos that focused on the German elections. In one video, Harrach threatened to conduct attacks in German cities. In October 2009, the US added Harrach to its list of specially designated global terrorists “for acting for or on behalf of al Qaeda.” He was also added to the UN’s terrorist watch list in 2009. Harrach was rumored to have been killed in one of four US Predator airstrikes in August 2010 in Pakistan’s Taliban-controlled tribal agency of North Waziristan, but was actually killed three month earlier while attacking Bagram Air Base. In addition to his al Qaeda and IMU roles, Harrach was a close confidant of the Haqqani Network, the Taliban subgroup that operates on both sides of the border and is closely tied to both al Qaeda and Pakistan’s military and intelligence service. He was under the direct protection of Siraj Haqqani, the military commander of the family network and a member of al Qaeda’s ruling council. Haqqani Network commanders are said to have sought Harrach’s advice on the planning and execution of major attacks. “If we want to do something, we always ask the German [Harrach] for his opinion,” a source in the Haqqani Network told Spiegel in January 2009.